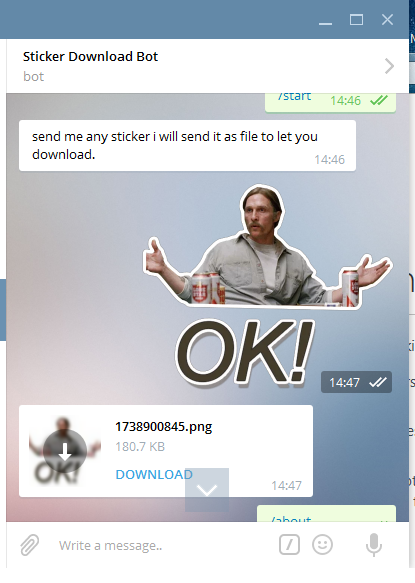 If you are in love with Telegram and Its stickers. 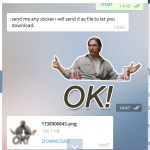 I will share you a way u can use telegram stickers on Facebook, WhatsApp, Kik, Hike, WeChat and Any Other Chat app or Website. 3. Download the Image and save to gallery. 4. Upload on whatsApp or Facebook. I needed such bot that is why we developed it. No WaterMark Or Ad. Just free service.